The following post contains information from The South African Chemical and Biological Warefare Program: An Overview, by Chandré Gould and Peter I. Folb. Project Coast was a top secret Chemical and Biological Weapons (CBW) program initiated by the Apartheid government during the 1980’s. But what was the purpose of the program? South African Defence Force officials have repeatedly stated that the South African CBW program was established to counter a threat of chemical weapons being used against their troops during the conflict in Angola, which lasted from the mid-1970s to the end of the 1980s. South Africa invaded Angola in 1975 in an attempt to disrupt Angolan independence but could not contend with large Cuban forces acting in support of the Popular Movement of the Liberation of Angola. 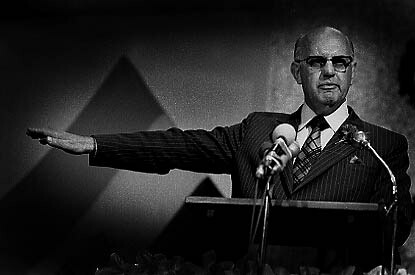 When PW Botha was elected as Prime Minister in 1978, he brought with him a National Management System. When Botha was presented with the various “security issues” facing the country, he commissioned a team to investigate the feasibility to develop a CBW program to defend the state from its enemies. This program was code-named “Project Coast”.